Morning, magpies! 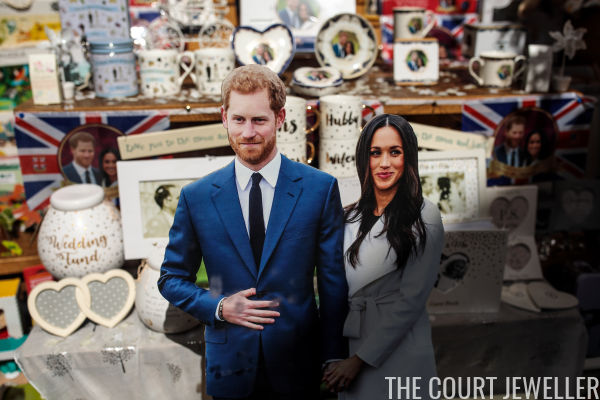 I'm scheduling this post so that it will be published at midnight (central time) as usual on the day of the royal wedding. It's finally here! We're going to use this post as a place where you can discuss the wedding as it happens. I'll be logging on around 4 AM eastern/3 AM central this morning, and I'll be monitoring this post throughout the festivities. (I will also be tweeting up a storm!) I'll be updating the post with information as we learn it: what title will the couple get? what will the dress look like? 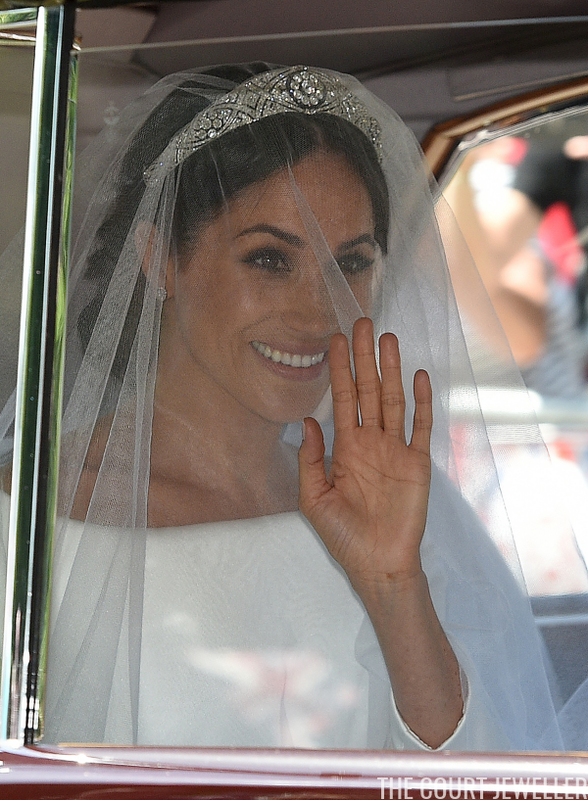 what tiara will Meghan wear??? In the meantime, a few notes. Remember that (as a way to combat spam) links and images are not allowed in the comment section of this blog. Also remember that it's okay to talk about why you don't like a dress or an accessory, but it's not okay to talk about the bodies and faces of the people we feature here. And please remember to be kind to each other! 3:19 AM: I'm awake, I'm tired, and it's time for an update! Harry and Meghan's title has officially been revealed: Harry is now HRH The Duke of Sussex, with the subsidiary titles of Earl of Dumbarton and Baron Kilkeel. When they marry in a few hours, Meghan will officially become a princess with the title HRH The Duchess of Sussex. Also: you can download a PDF of the official Order of Service over here! 4:22 AM: The guests are arriving, including the Spencers, the Middletons, and Oprah Winfrey! We've also got some info on the wedding rings. Meghan's is made of Welsh gold provided by the Queen; Harry's is textured platinum (and he'll be wearing it on his ring finger). Both made by Cleave and Co., the same firm that made Meghan's engagement ring. 5:28 AM: Meghan is wearing a tiara, and CNN is reporting that it's from the Queen's collection! Appears to be all-diamond, possibly from Queen Mary's collection. 5:43 AM: We've got better pictures -- it's the delicate filigree-style diamond tiara from Queen Mary's collection! I'll upload an HQ picture once it hits Getty. 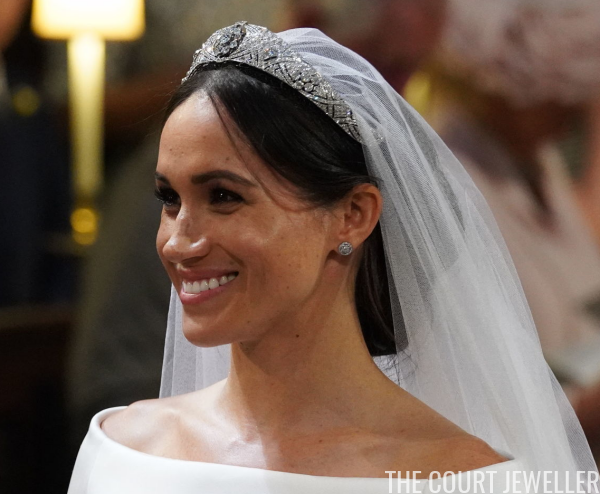 6:17 AM: The palace has official released the info on the tiara: "The veil is held in place by Queen Mary's diamond bandeau tiara, lent to Ms. Markle by The Queen. The diamond bandeau is English and was made in 1932, with the entre brooch dating from 1893." 6:45 AM: The tiara without the veil. Also note that Meghan's wearing her new Cartier earrings. She has a bracelet on her right wrist as well -- look for that in the upcoming detailed post on the jewels!